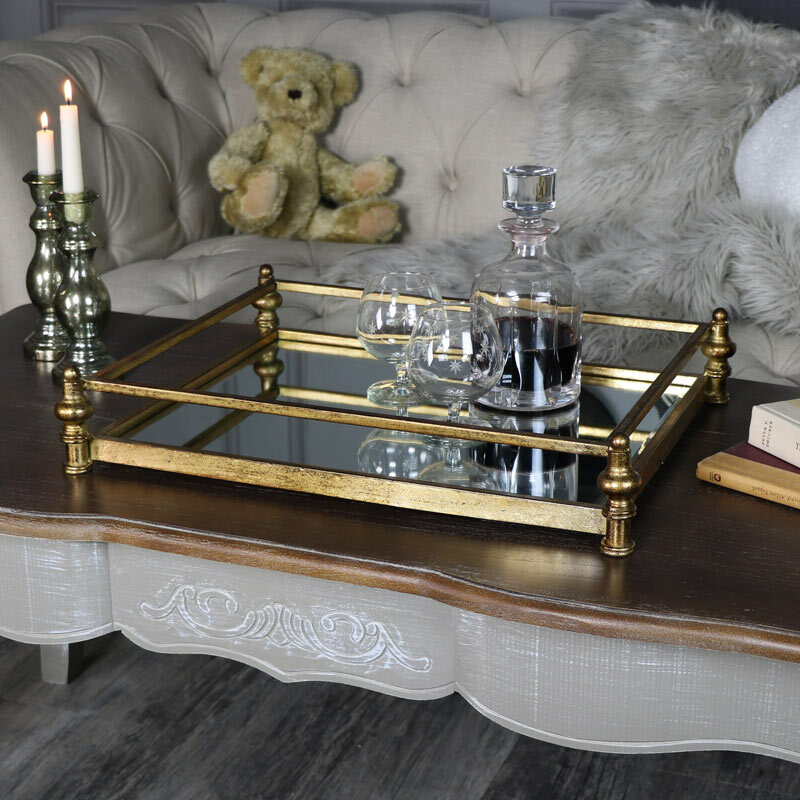 If you're looking to add some elegance and glamour to your home, this large cocktail tray will do just that! With mirrored surface in an antique gold finished frame. Perfect for serving your guests in a magnificently extravagant style or use as an ornate display tray for candles, ornaments or floral displays. The mirrored surfaces will reflect a candlelit display beautifully, adding a warm glow to your room. In a sturdy, solid design this will allow you to easily carry your favourite tipple from room to room. 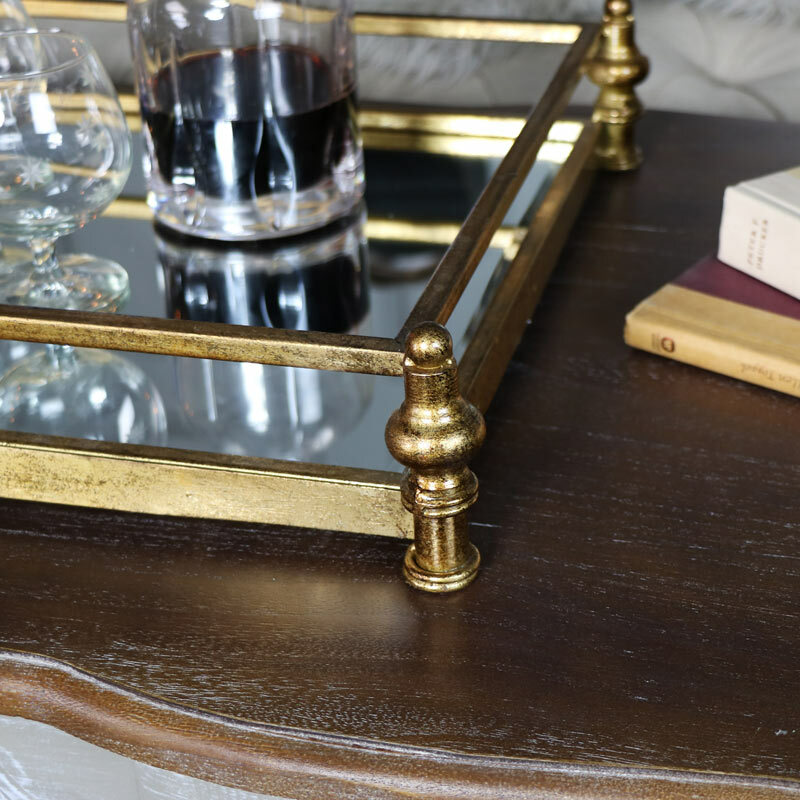 If you're looking to add some elegance and glamour to your home, this large cocktail tray will do just that! With mirrored surface in an antique gold finished frame. Perfect for serving your guests in a magnificently extravagant style or use as an ornate display tray for candles, ornaments or floral displays. The mirrored surfaces will reflect a candlelit display beautifully, adding a warm glow to your room. In a sturdy, solid design this will allow you to easily carry your favourite tipple from room to room. 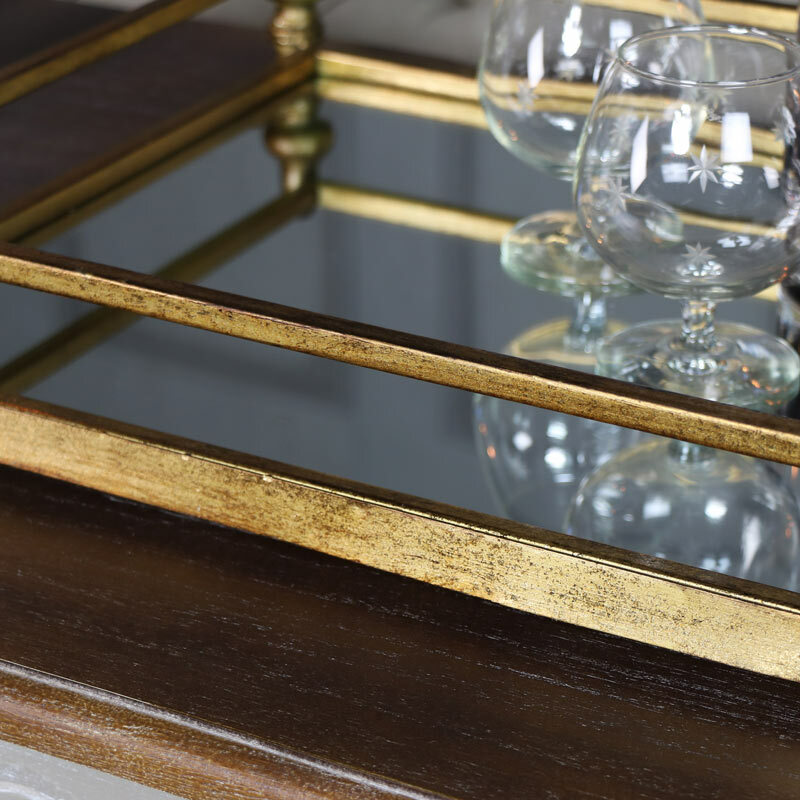 Made from metal in a distressed antique gold finish that adds a look of age and large rectangle mirrored surface. The tray measures 51cm x 10cm x 40cm (Width x Height x Depth).